The information provided below has been put together from FAQs regarding the custom case process. The process is designed to be as simple as possible for the customer. What’s the process like to make a custom case? I’d like to get started. What should I do first? How long does it take to make a custom case? This varies depending on the complexity of the case and how many changes are made to it, but we generally try to get cases made in 1-2 days from the time we begin designing the case. How are you able to achieve such fast production times? Our efficiency has been refined over the years by optimizing the manufacturing process piece by piece, all under one roof. We have multiple laser cutters running simultaneously to create cases all day long. Also, by booking a date in advance, we are able to minimize the lead time to the bare minimum. That way, we reserve the date for your project, and we’ll be expecting the gear here on that specific date. The cost will depend on the size of the case, the complexity of the design, and which additional options you choose. We have standard rates for different size cases, but it is best to go over the different options during the initial consultation. If I buy 2 or more custom cases from you, will that decrease the price? If the cases are completely identical, then yes. 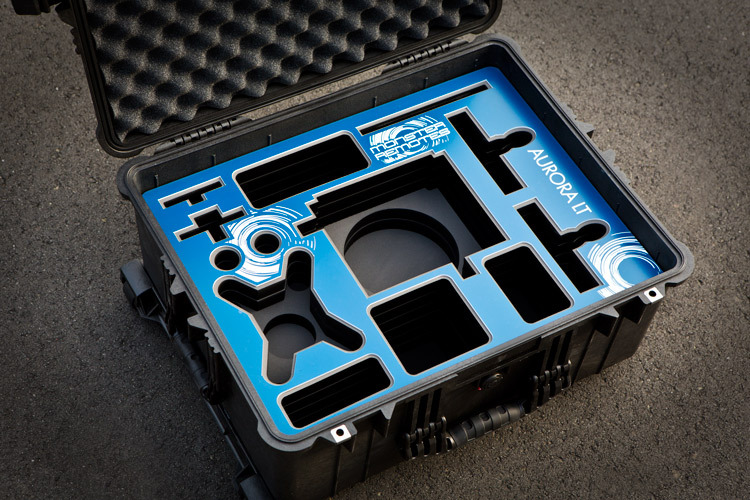 By making the cases identical, you decrease the design and setup costs of the subsequent cases. However, if the cases are different from one another, they are treated as separate orders and will not be discounted. What’s the best way to get the measurements to you? Can I just take a photo of it? We make every effort to achieve perfection with our cases. Of course, perfect fit requires an exact measurement of each component. Every contour should be accounted for and integrated into the design, along with measurements that are accurate to within 0.001". We also take into account the surface texture and friction test the fit as we design the final product. This will ensure that there is no slop in the case, maximizing the capacity and providing the most protection in the event of an impact. Quite often, the rough measurements provided on consumer websites will be misleading and yield poor results for our laser cutting process. The best way to ensure a perfect fit is to send the equipment in for measuring. When we coordinate it properly, your equipment is safe and is returned to you within 24 hours. When shipping equipment into our office, please address it to: Jason Case Corporation 4809 Hillsborough Road Durham NC 27705 If you do not want to send the equipment in, you have the option to provide your own measurements. When providing your own measurements, you will sign a disclaimer acknowledging that you accept full responsibility if the equipment doesn’t fit correctly. We are unable to adjust the foam later. In other words, it is not possible to “fix” the foam after its been laser cut. If we have to re-do the case due to a mistake, we’ll pretty much be starting over from scratch so the price will reflect that. Can I get my logo engraved into the case? How do I go about sending you my logo? Yes, we can engrave your logo into the foam, the overlay, and the exterior nameplates. We prefer to work with vector-based graphics to achieve the highest possible quality when engraving. We typically work with Adobe Illustrator (AI) or EPS files. Our engraving service is completely turnkey, so we just need to be provided with the logo artwork and we will handle the rest. Please email them to jason@JasonCases.com and write LOGO in the subject line If you are sending multiple files which require more bandwidth, please contact us to arrange for an FTP upload of your file set. If the gear that you are sending in comprise of items that we are trying to make stock cases for, then we will cover the shipping both ways. If not, then the customer is responsible for shipping. Your regular equipment insurance should already cover mailing it in. If you’re not sure, please check with your insurance agency. What method do you recommend for sending gear in? Fedex and UPS are our regular shipping carriers. We also have an account with Southwest Airlines for shipping cargo. If you are shipping something very heavy or you need it to arrive extremely fast, we recommend using Southwest for the best rates possible. In either instance, you can securely pack the equipment using bubble wrap or the original packaging, or let Fedex Office pack the items for you. How long will the equipment be out of my hands? If we have the equipment for 2 days, and you shipped it Overnight and then we ship it back to you via Overnight, that’s a total of 4 days. 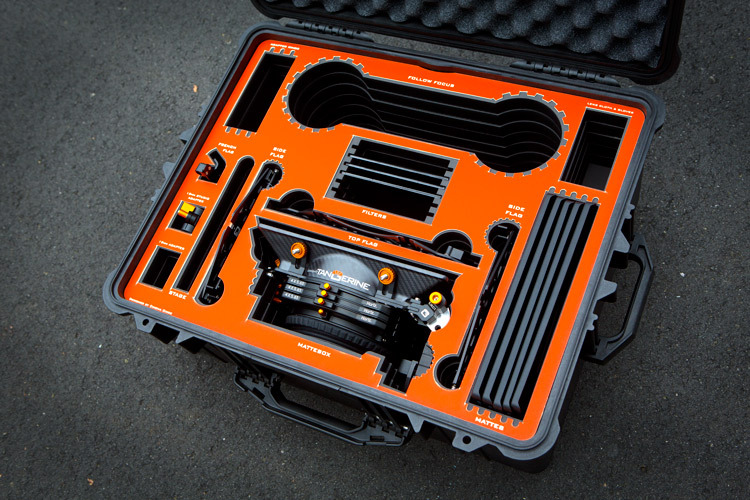 If you just take measurements of our equipment, and then send the gear right back to us — Can you finish the case later on when its more convenient? No, part of our process to achieve the best possible results is to test fit every single component to ensure that it fits perfectly. In order to do this, we have to build the case to guarantee the right fitment. Can I bring my gear in and have you take measurements while I wait — And then you can finish the case later on when its more convenient? Do you supply the case or should I get my own? We generally supply the case. 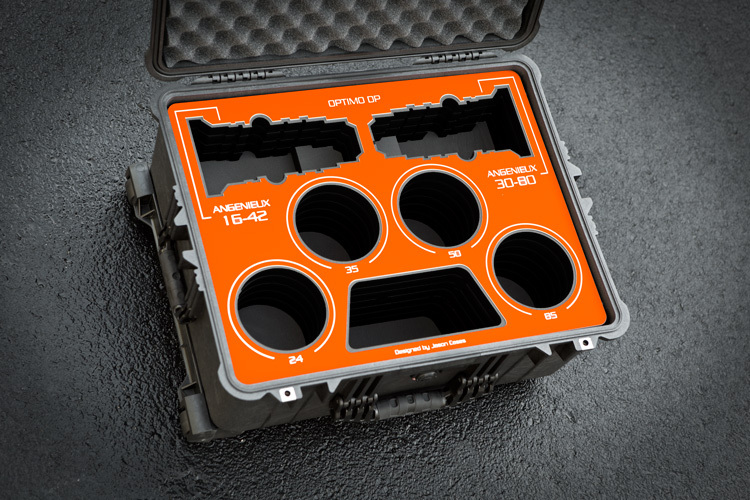 We keep all of the 50+ Pelican and Storm cases in stock and choose the best one specifically suited for your gear. If you already own one that you’d prefer to use for your project, just let us know and we’ll use your pre-existing case. What kinds of cases do you use? We normally use Pelican and Storm, but if you have a different preference, just let us know and we will be happy to accommodate the request. Other common case manufacturers include HPRC, Nanuk, and SKB. Can I make suggestions regarding the design? Certainly you can contribute ideas and suggestions to the design. However, the process is structured so that you don’t have to do that. When we begin designing a case we already take into account weight and balance, logical flow, center of gravity, and maximize capacity based on multiple factors. Generally we will have a few questions for you specific to your gear, and you can inform us about anything special you may need to clarify for us at that point. Revisions to designs that have been processed may incur an additional cost. Will you show me a mockup of the design before you make it? Unfortunately we don’t generally do that. It slows down our production time and rarely produces better results. How will we keep track of notes and revisions? We create a dynamic form that you can fill out which will keep track of all of our notes exchanged between one another. That way, both parties can be contributing ideas without losing track of any information along the way. What is the most common mistake that people make when they try to design their own custom case? The natural tendency is to pack way too much into a single case. This makes the case poorly protected, unorganized, and difficult to design and manufacture. If you find yourself in this situation, consider going up to a larger case, or removing some items from the case and putting them into a secondary smaller case. I’m ready to move forward, when can we start? Please call us at 1-800-601-8816 or email us at jason@JasonCases.com to book a date. We look forward to working with you on your case project. My gear got booked and I may have to reschedule. Can we change the date? Sure, let us know as soon as possible so we can open up the schedule.